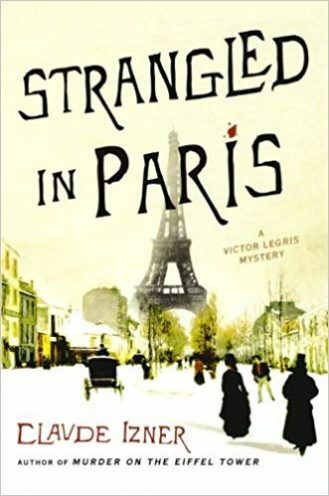 Strangled in Paris is a historical mystery set in Paris in 1894. This is the sixth book of a series by a pair of sisters writing as Claude Izner, I hadn’t read the rest of the series, but didn’t feel I was missing too much by not having read the previous books. Victor Legris is supposed to be running a Paris bookstore, but he finds he would rather spend time with his photography and his new wife. Then an old adversary asks him to look into the disappearance of a friend of his mistress, and he finds himself back at detecting despite his best efforts. Paris may be the city of love, but it is also a city of hate, and a few men have earned the hatred of someone very dangerous indeed. Will Victor find the murderer before he strikes again, or will some secrets remain hidden. One must read on and find out!